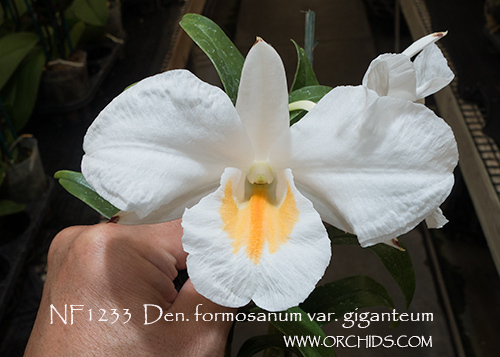 A variety of this species, native to Taiwan, and capable of producing fragrant flowers up to 5” in size ! 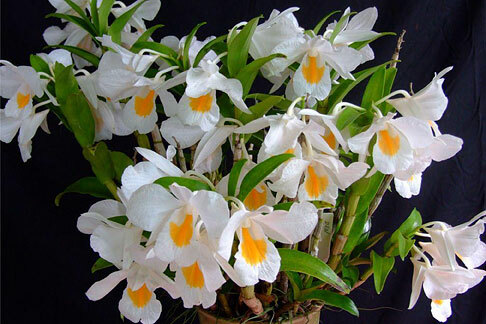 A hardy grower, it does well under conditions similar to Cattleyas, Dendrobiums and Cymbidiums. 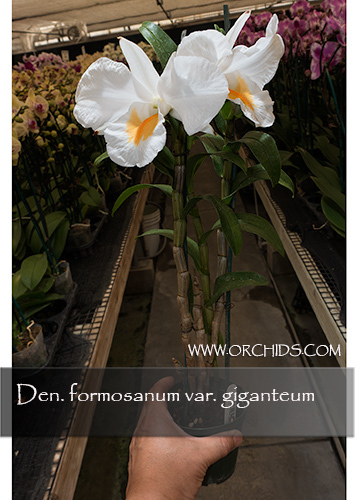 Its fragrant flowers are produced from fall into the winter, bearing up to four huge white flowers per inflorescence, beautifully displayed near the top of a leafed mature cane. Very weather tolerant, this species grows well outdoors year round in frost free areas. Highly Recommended!